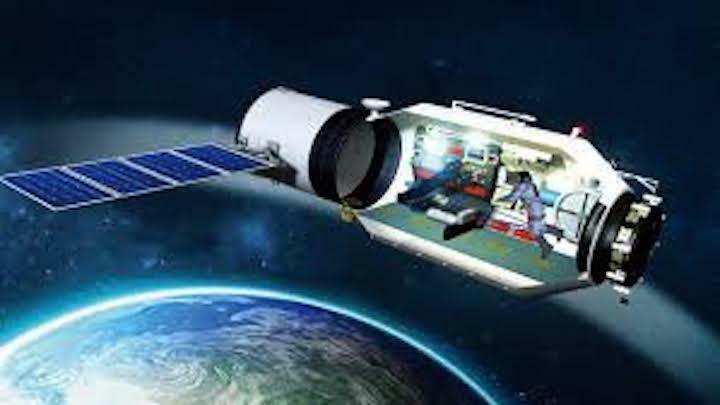 Research findings from China's Tianzhou-1 Space Mission have shown that the microgravity environment in space promotes heart cell differentiation of mice induced pluripotent stem (iPS) cells, providing new perspectives on future human space travel. During space travel, the human body is in a state of weightlessness due to minimal gravitational pull from the earth, which is known as microgravity. Exposure to microgravity may have a profound influence on the physiological function of human cells. Researchers from China's Academy of Military Medical Sciences, Tsinghua University and the Shanghai Institute of Technical Physics, Chinese Academy of Sciences took the opportunity of the Tianzhou-1 space mission, China's first cargo spacecraft launched in 2017, to investigate how spaceflight may affect cardiac differentiation of mice iPS cells. Pluripotency is from the Latin word pluripotentia which means the capacity for many things. In cell biology, pluripotent stem cells refer to stem cells that have the capacity to differentiate into other types of cells. The iPS cells are a type of pluripotent stem cell artificially derived from a non-pluripotent cell. By "forcing" the expression of certain genes and transcription factors, the non-pluripotent cells can be induced to have the same genetic information as early embryonic cells. The technique to induce cells into a pluripotent state earned two scientists the Nobel Prize in Physiology or Medicine in 2012. The development of iPS cells has been the rocket fuel for regenerative medicine, an experimental branch of medicine that seeks to replace diseased cells, tissues or organs. The Chinese researchers reported on the journal Stem Cells and Development that compared with cells cultured in an identical environment with ground gravity, iPS cells differentiated significantly quicker in space. The differentiation was enhanced four days after launch and lasted for 10 days afterward, indicating robust cardiac muscle cells formation. According to the researchers, a bioreactor was designed to perform cell culturing and the time-lapse imaging experiments in orbit. The bioreactor consisted of three principal modules: the biological experiment module which had 48 cell culturing units, medium bags, as well as pumps and connections. During the experiment, the camera, which can function automatically or follow remote control commands, took bright-field and green fluorescence images of live cell samples, which were then transmitted to the earth. The control experiment was carried out in an identical bioreactor with the same culturing conditions at normal gravity of the earth. The researchers said it is the first real-time imaging study of iPS cell-derived cardiac muscle cells differentiation in space, providing rare information about iPS cells cardiac differentiation in space. In the future, similar automated stem cell experiments may help to realize personalized cardiac tissue bio-manufacturing and drug tests during space travel, the researchers said. Tianzhou-1 was launched on April 20, 2017 and completed an automated docking with the orbiting Tiangong-2 space lab two days later. The Tiangong-2 space lab, launched on Sept. 15, 2016, is conducting in-orbit tests and will de-orbit after July this year.